Part of Global Strategy’s mission is to walk alongside the local church globally. And we believe that healthy local churches are those that are locally led and sustained, regionally connected, and missionally engaged within their communities and across cultures. As the needs of the local church change so do the ways in which Global Strategy and our personnel work with the local church around the world. 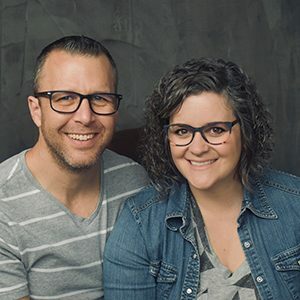 Missionaries Dan and Christy Kihm were given the responsibility of facilitating the network and walking alongside those leaders. As part of that responsibility, Dan and Christy and their daughter Sofie will be relocating their base of ministry to Budapest, Hungary, in the summer of 2019. Budapest is a strategic location for the Church of God and frequently hosts regional events for church leaders. 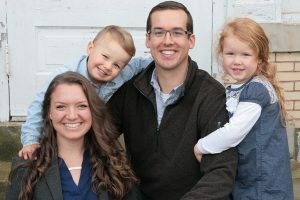 Dan and Christy will continue to work with the congregations in the Netherlands as well continuing with their current responsibilities across the region. 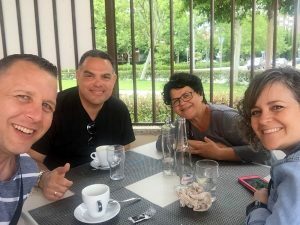 While every move comes with trepidation, the Kihms are excited to be a part of what God is doing with this generation of leaders, pastors, and church planters in Europe. And now Global Strategy is announcing the appointment of Nate and Stacy Tatman as associate regional coordinators for Europe and the Middle East. They will be working alongside Regional Coordinators Patrick and Jamie Nachtigall and the entire Three Worlds team. Working with the Kihms, Nate and Stacy will have a particular emphasis on church planting and church health, walking alongside pastors and leaders in the region connected through the Europe X church network. Plans are for Nate and Stacy and their two youngest daughters to be based in Madrid, Spain. 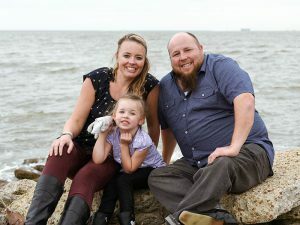 While they will begin fundraising immediately, the Tatmans will be commissioned at the Church of God Convention in Orlando, Florida, in June 2019. Global Strategy is excited about the opportunities that God is opening as we respond to the changing needs of the church in Europe and the Middle East. We are excited about these transitions and what God will do through them. Would you be in prayer with us for the Kihms, the Tatmans, and the Weigers as they make these transitions, and for particular grace and peace for their children?